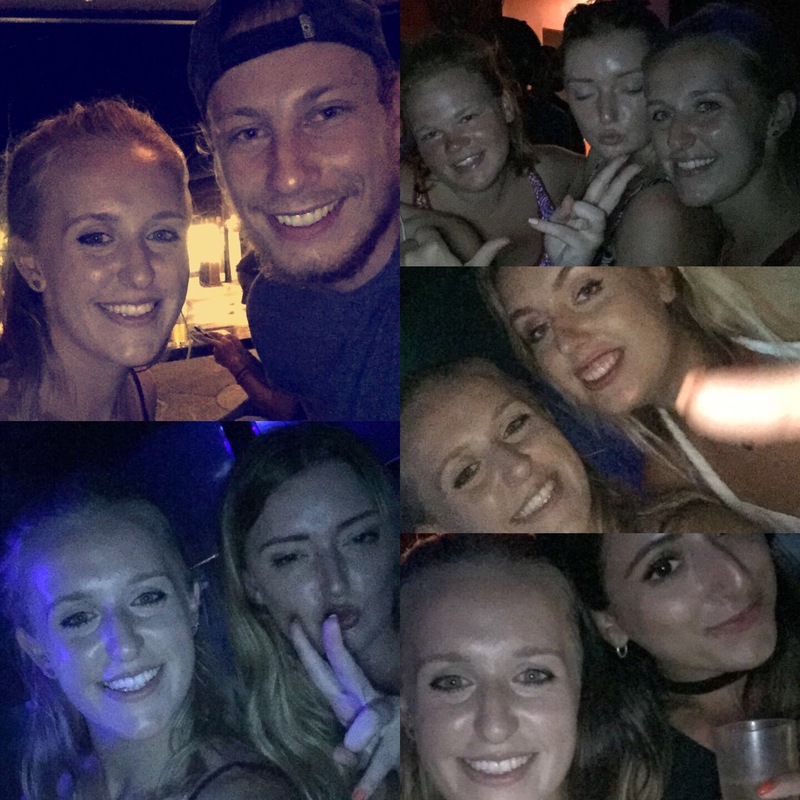 On Wednesday 8th February we booked on to a day trip to a place called Nimbin which is kind of like the hippy capital of Australia! 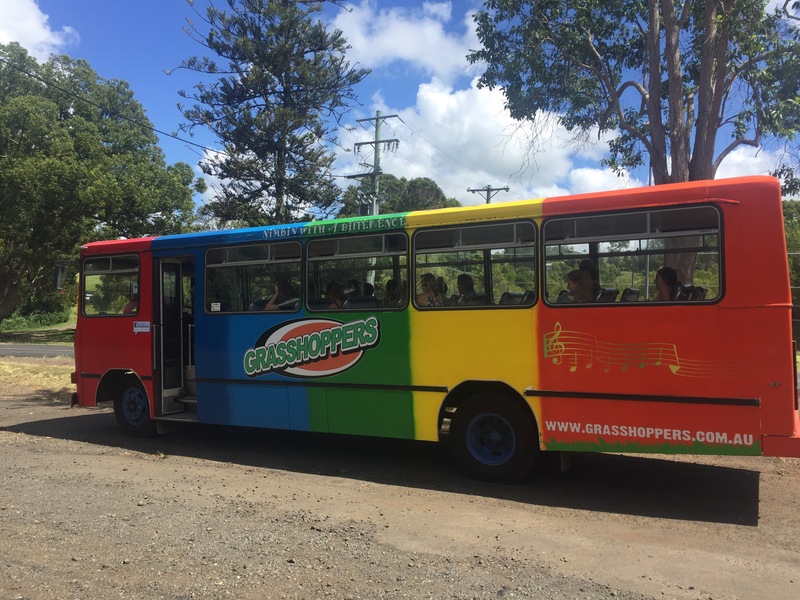 A rainbow coloured bus called the Grasshopper picked us up at around 10am and we had the only real hippy who worked for the company (or so he said) driving it. Douggie (our guide) told us of his life hitchhiking to festivals, taking drugs in the 70s and campaigning and protesting for the protection of the environment. It was clearly no word of a lie that he was a die hard hippy! He told us that the area had managed to prevent McDonald’s (coining the phrase ‘would you like some lies with that’) from setting up in the area and that they also managed to cause massive disruption to a fracking project that was meant to take place in the area leading to the project being abandoned. The government had sent riot police to move them along so the protestors (around 10,000) all turned up from around the Byron Bay region on the same day to block all the roads meaning that the federal police couldn’t get anywhere near the fracking site. It was cool to hear about all the stories from the protesting era and it’s clear that mentality is still heavily instilled in the community today. On our way to Nimbin we passed by the Nimbin Rocks which are a big part of the local aboriginal culture and our guide played a song that had been written about them. We then stopped at an old pub (old for Aus standards not for UK standards of course) and everyone bought some beers for the journey. 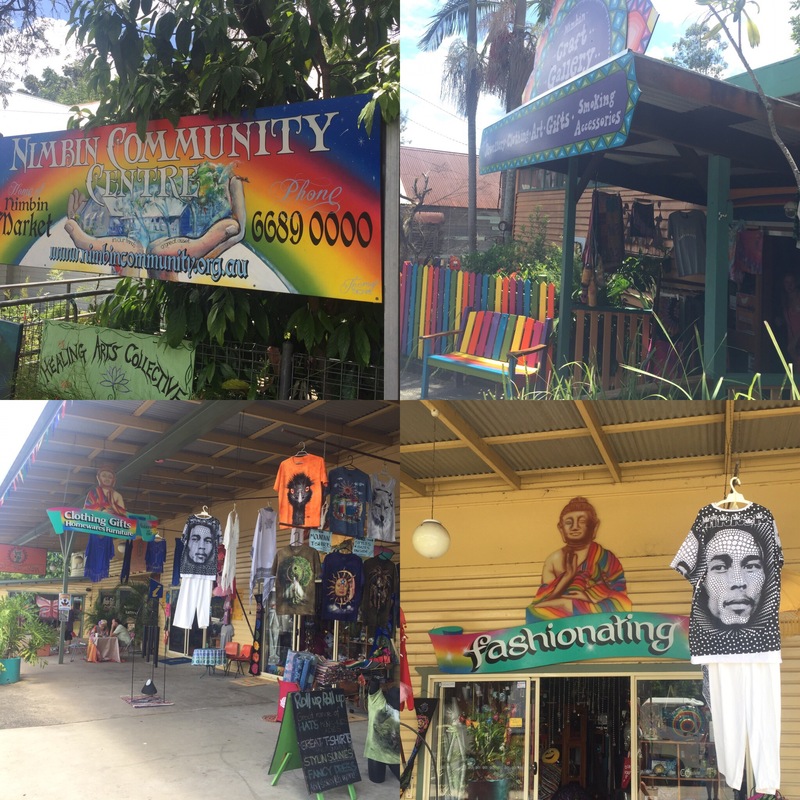 We were also told of some colloquial terms used in Nimbin, for example, if ‘taxi’ was shouted it meant the police were coming (the area is big for selling weed/marijuana in keeping with the hippy way of life). Our guide also told us about how not to get ripped off if we did want to buy drugs and how much we should be taking – nice that they promote safe drug use for a tour guide company! The place itself is pretty much just a street with lots of hippy shops selling tie-dye t-shirts, dream catchers and drug paraphernalia. 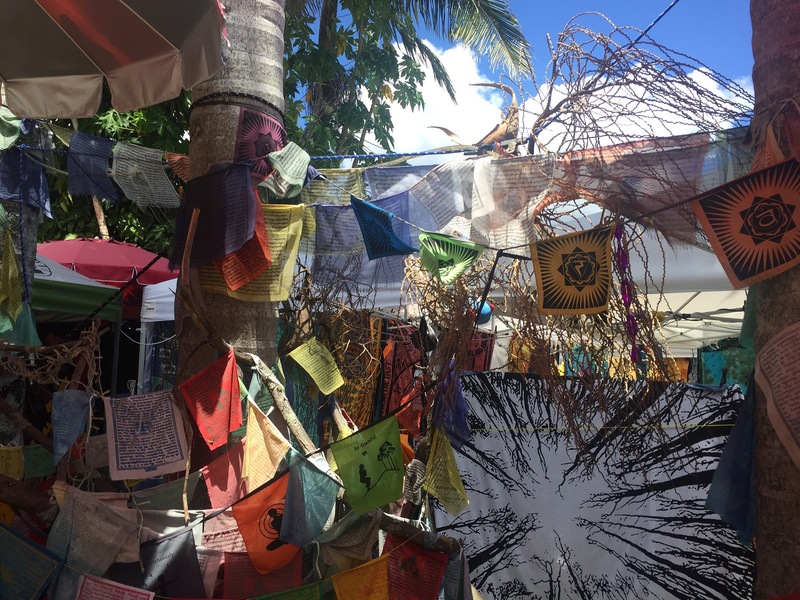 My favourite shop had a garden full of prayer flags which was really pretty. The place was so quiet and chilled out and had little statues or pictures all over the place making it quite a pretty place. I also got a henna tattoo whilst we were there and the lady doing my henna told me that tours come into Nimbin nearly every day and that the locals just avoid town during the middle of the day so it explained why it was so quiet – not that I could see it getting much busier! There were lots of galleries, herbal health shops full of homeopathic remedies, a book exchange library – which is a clever idea, especially for a small place away from much civilisation – and lots of organic food shops and restaurants. It was clearly a place where you came to live a very chilled out, relaxed life. 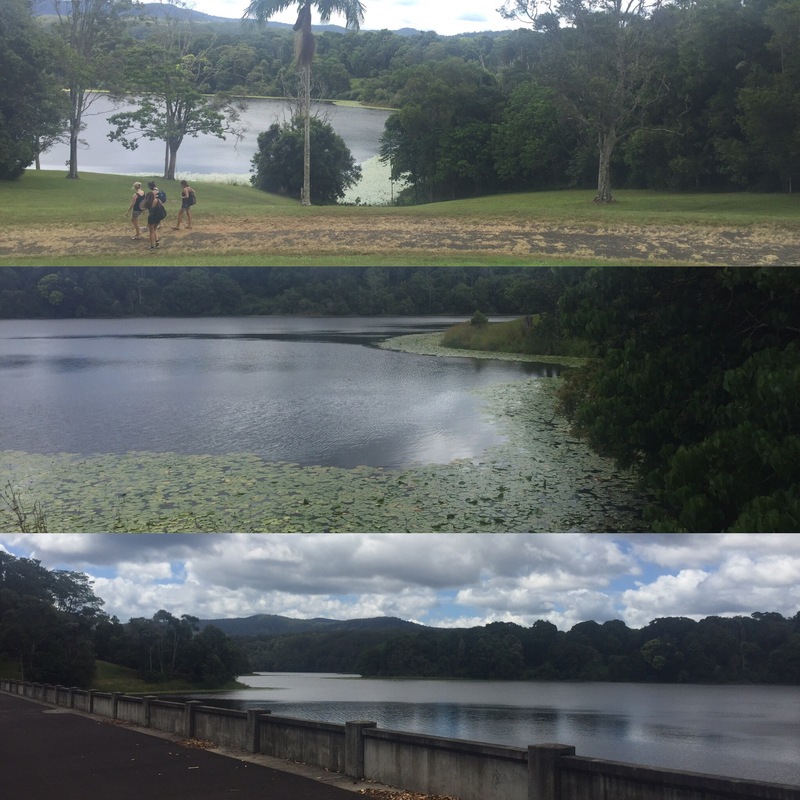 At around 3ish we stopped for a big BBQ at Rocky Creek Dam which was very pretty and the food was good too! We have noticed with all the tours that we have done in Australia that the food they provide always fills you up which is great when it means you may not have to buy food later! 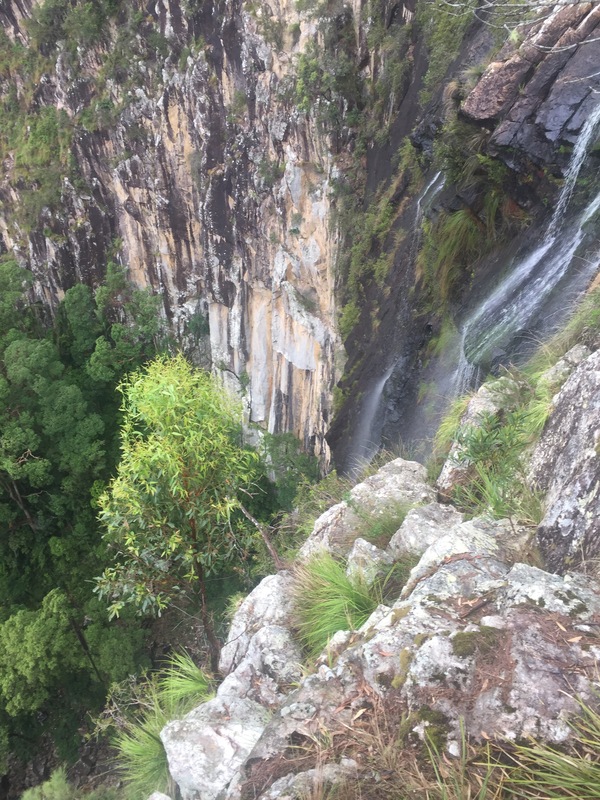 After lunch we went to Minyon Falls which was out last stop on the tour. The falls had completely dried up a few months before so there wasn’t much water meaning it wasn’t that impressive considering the falls we have seen before. When we got back we napped before our tea that evening. Niall hadn’t had as good a nap as me so he stayed in to sleep while I went to meet Stacey, Abbi and Amber from our surf camp. After a few hours Niall came to meet me and we went to a pub called The Northern which had live music before returning to Cheeky Monkeys where we met up with some of the people from our tour that day. I’m glad we went to see what Nimbin was like. 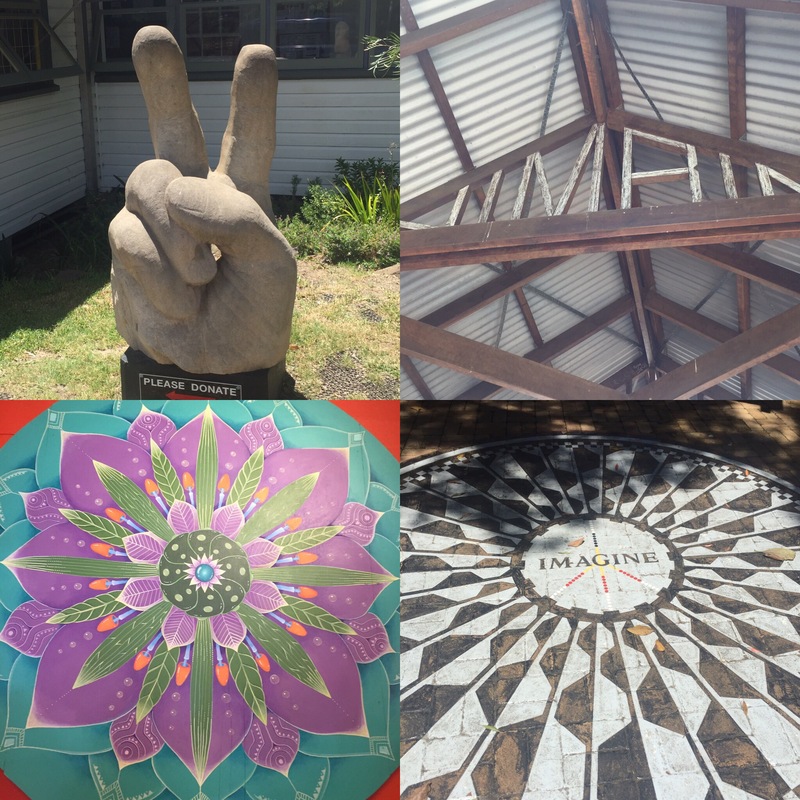 It’s quite a surreal place to visit and the tour definitely reflects the hippy vibe of the place which I think was a nice touch. It’s definitely somewhere I could only imagine visiting once though!